Ok, so it’s not actually an electric bicycle. But, anything that says Harley-Davidson on it that doesn’t rattle windows and generate plumes of noxious exhaust fumes is worthy of reporting on. Indeed, Harley-Davidson lifted the curtains on its latest project at the recent EICMA show in Milan. But, this time onlookers consisted of urban planners and environmentally conscious individuals eager to see the company’s concept electric scooter unveiled, rather than the typical fat-bellied, beer-swilling, tattooed-plastered men and women who have become synonymous with the motorcycle brand. 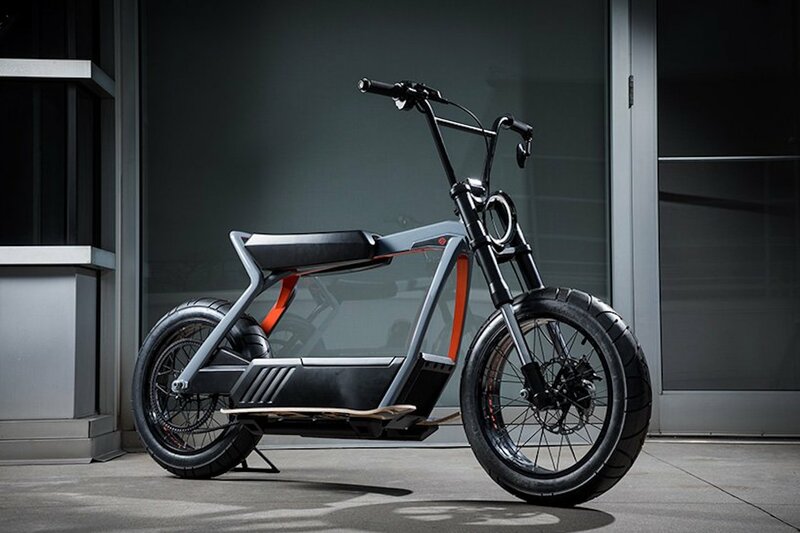 In contrast to some of Harley-Davidson’s previous electric powered concept bikes like the Live Wire, the small scooter appears to be the perfect fit for the urban landscape, offering a minimalist design for ease of maneuverability and transport. The concept scooter features a flat bench seat with skateboard-like footrests on both sides, along with a drop-down handlebar, a chopper-esque rear view mirror and a large LED headlight in the center. 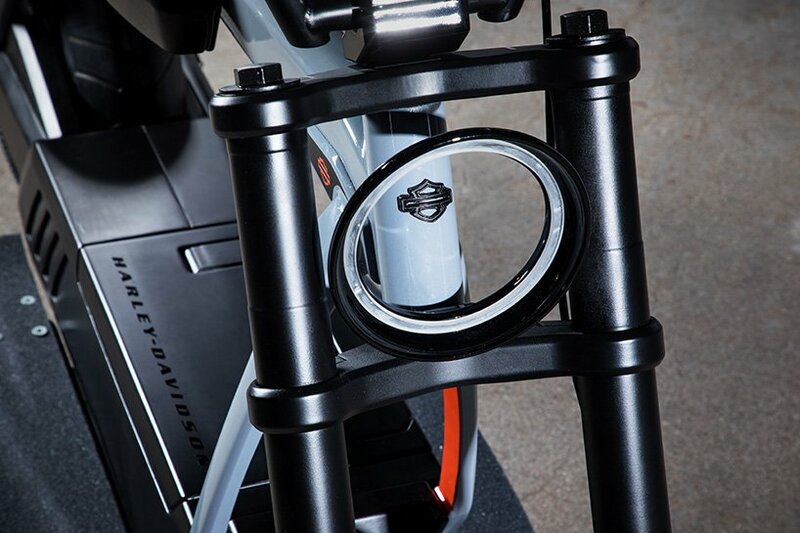 “Wrapped in an evocative styling, the concept explores the potential of urban mobility for the Harley-Davidson brand. It has allowed us to use our knowledge of two-wheelers and push new boundaries in terms of technology and design”, says the legendary American company. 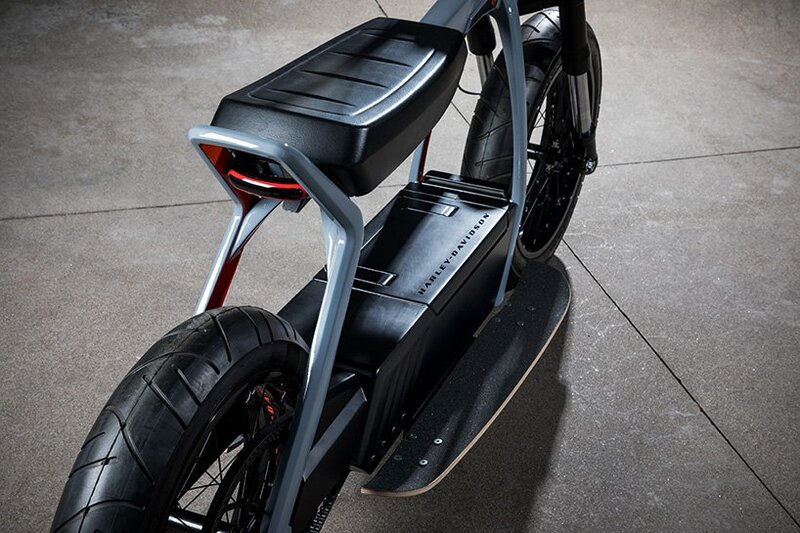 There’s no information as to what type of electric drive system powers the scooter, or if Harley-Davidson has any real plans to produce it. But, in the event they do, it will be almost comical to see hogs parked outside of juice bars instead of pool halls for once.